Snuggle up with sweet dreams of your NCAA? teams. Your bedroom will be a stunning showcase of your college athletics fandom when you deck out your bed with this twin bed-in-bag set! 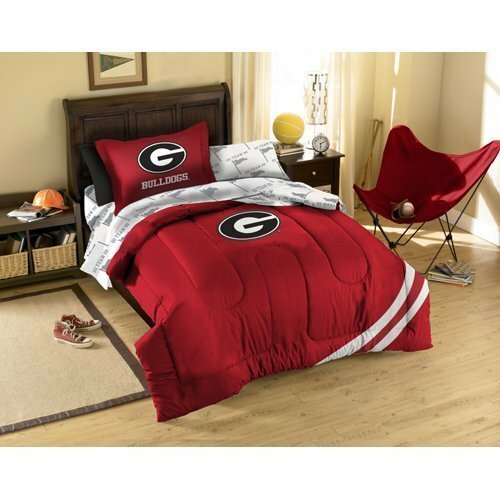 It includes a comforter, pillowcase, pillow sham, and sheet set, all featuring your school's colors and logo.